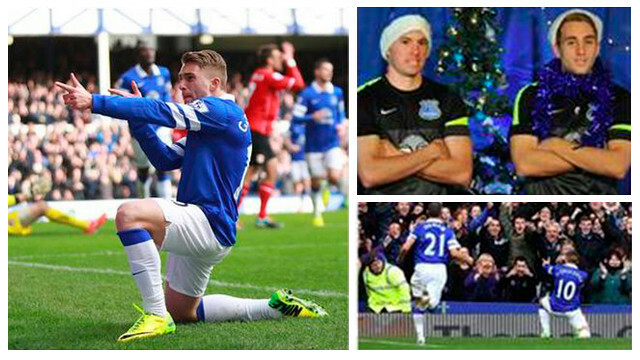 Gerard Deulofeu wanted to thank Everton and the fans via an open letter published this Friday on his Twitter account. The young player is rejoining the FC Barcelona first team next season after a year on-loan to the English club. “I would like to thank Everton and it’s fans for this very special season in my career”, Deulofeu said. Gerard stressed that: “Not only have I grown in footballing terms, but also as a person”. He concluded by wishing the “Toffees” “Lots of luck and success”. Everton (@Everton), for their part, also wanted to thank Deulofeu for his effort and dedication, publishing a photo montage of the player, together with the words “Thanks Gerry!”.